Fly through your WOD without anything holding you back. Super lightweight fabric means zero distractions. 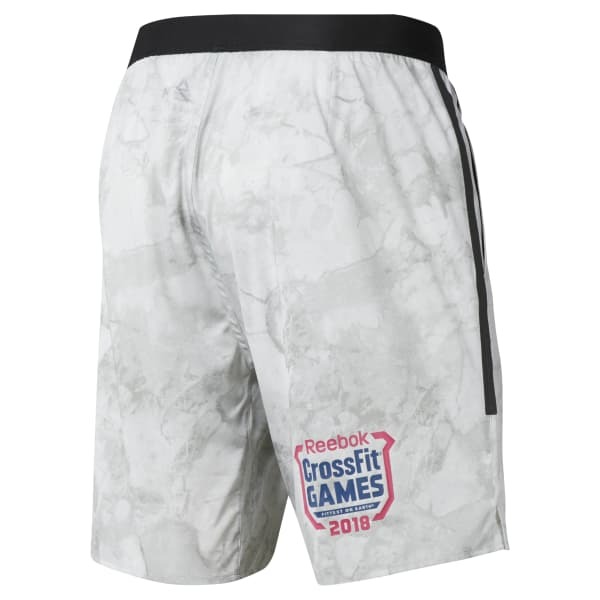 An easy-on elastic waistband makes these CrossFit shorts versatile for any workout and you can easily bring small items to and from the gym with side hand pockets. The Stone camo print is made up of atlas stones and bumper plates that were smashed and repurposed for a unique visual effect.